IT'S ALMOST FRI-YAY! It was in the single digits the past couple of days and we had a snowstorm here in the east coast. But I can't complain it gives me an excuse to stay in and refrain from eating out even though that was a fail. Whole Foods happy hour always gets me. I've been consistent with my exercise and have about a month until my friend's wedding...let's see how motivated I am until then. I'm hoping to do a before and after picture blog post of my progress over the past year! Hope everyone stays warm! Just found your blog via no-21, and I want to say I really love your use of pink (my favorite color, lol)! 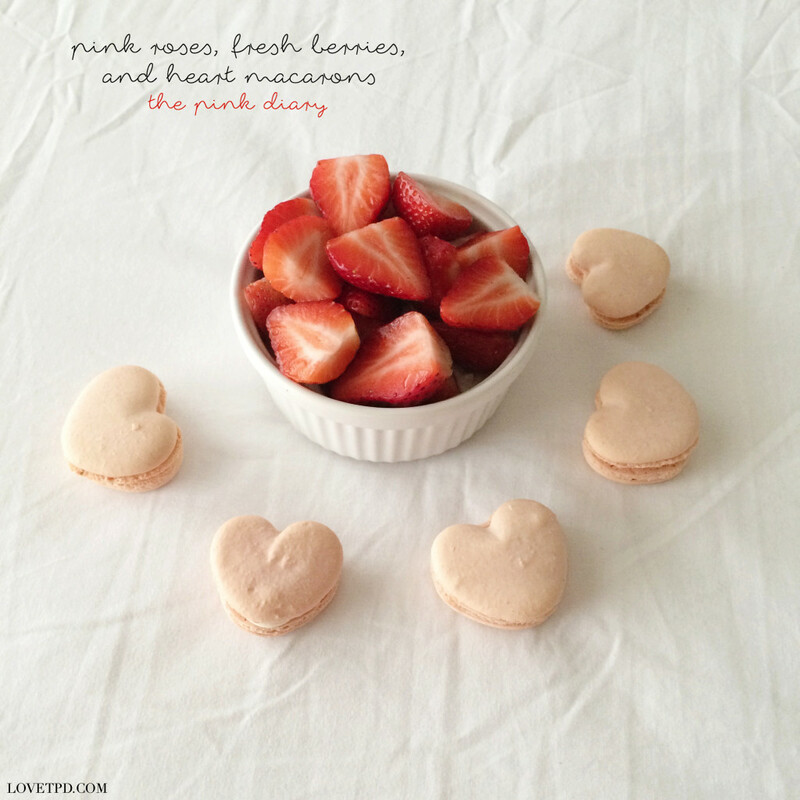 Those heart macarons look amazingly cute, and almost too pretty to eat!